One of the advantages of having my own blog and writing about whatever pleases me (and pretend like I know something about the subject at hand), is that you can let other people know what sort of things you like. Last June I wrote about chocolate. This January, Daniela Totah and Eva Noyola each brought me a bar of very special and unique chocolate. Beautiful. Many many thanks. 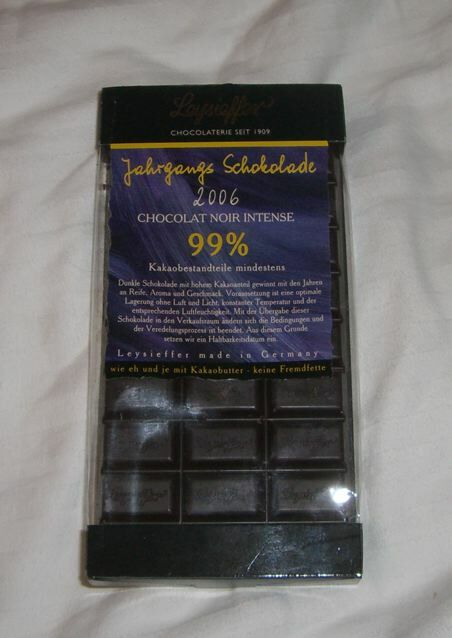 Eva brought a bar of Jahrgangs-Schokolade 2006 (link takes you to the 2004 edition). Say that ten time very fast and you can win your own. This is a 99% pure cocoa goodness as far as I can tell given how rusty my German is. 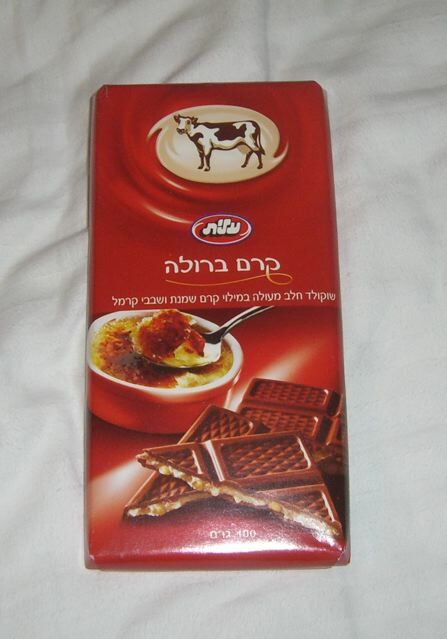 Totah brought a new bar by Israeli company Elite (makers of the Cadbury Flake clone known as Mekupelet): The Elite Creme Brulee. Yummy. A full review of each bar will be posted right after pigs can fly. If you feel like giving me a present but don’t know what to give me, you can always follow this link for a few hints.